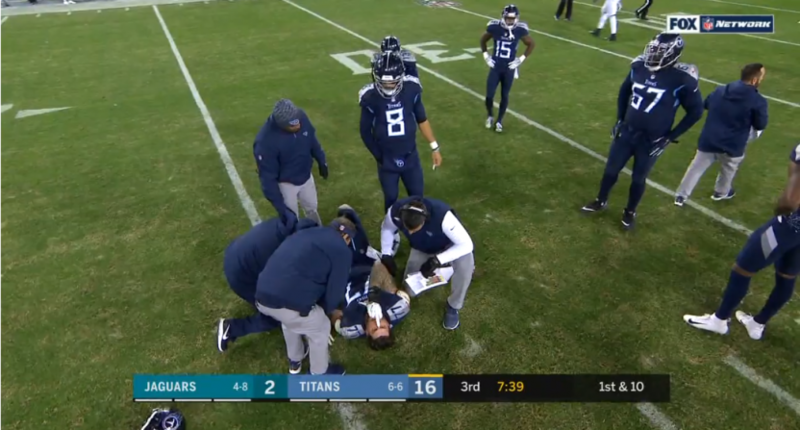 Tennessee Titans left tackle Taylor Lewan suffered an injury in the third quarter of Thursday Night Football against the Jacksonville Jaguars. The two-time Pro Bowl selection went down in considerable pain, and proceeded to flip off the Fox Skycam as it hovered over while he was down on the ground and being attended to by the Tennessee training staff. The injury must not have been too serious after all, as Lewan returned to the game and even got Jaguars star cornerback Jalen Ramsey to flop.